Many parents dream of seeing his son become a soccer star. And the size of the illusion grows in proportion to the skills of the child. Without forgetting that childhood development is a continuous process, where parents have as many questions as routes to face, in order to provide the best for their children. Some choose the old road called "practice leads to perfection". Others prefer to take the popular and well-weighted highway "dribbling and perfect shot." Another group take: “situation analysis” combining routes during the journey. So in the midst of this diversity of views, we wanted to know the opinion of a credible, experience and professionalism personalities of football world, as it is Wayne Harrison. Wayne has combined his experience as a professional soccer player (Blackpool FC, English Championship league), his education in psychology (bachelor's degree in applied physiology and sports psychology) and coaching knowledge (UEFA 'A' License, the NSCAA Premier Diploma) to support the comprehensive training of thousands of young people who want to succeed in this sport. 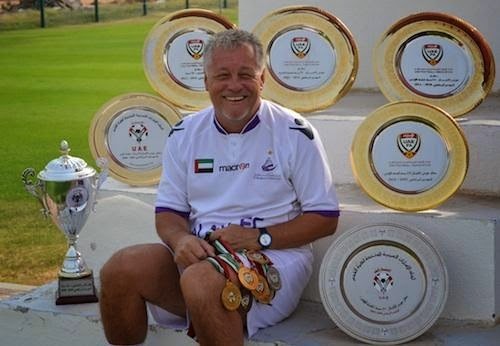 Harrison is Academic Director of " Soccer Awareness Elite Academy", is a well-respected author with numerous books published on player development and youth soccer training ("4-2-3-1 formation" among others), as well as being recognized for his career as an international speaker. Wayne, gentle, warm and smiling, spoke to FootyFair.com. He talked about the importance of soccer intelligence and decision-making to become a successful soccer player. An authoritative voice that does not hide his concern about the fundamental role of "training the mind before the body", which attributes the success to hard work and lets out a smile when talking about his idol (Pep Guardiola). Wayne Harrison responds, spontaneously, to Footyfair. Q. What is your ultimate goal in coaching? A. My goal in coaching is to help each player develop his or her talents and abilities to the fullest. With this in mind, I created this Unique Soccer Awareness philosophy of developmental coaching and training. Simply, it means training the mind before the body. But more than this, our Philosophy is to create a great human being focusing on Respect, Leadership, Excellence, Honor, Responsibility, Loyalty, and Compassion. All these factors help our students develop their soccer abilities and their behavior on and off the field. We want to develop “self-thinking players” capable of making the decisions on the field for themselves and for the team with little instruction from the coach. The more self-thinking, self-determining, and self-confident the players, the better the team will be. So we hand the decision making of the game itself to the players (not the coaches) and we teach that way too. We provide the canvas and the tools to use and the students paint the picture. Q. What do you think is the difference between technique and skills? A. There is a big difference between technique and skill. Technique in my opinion is the “how”: to run, to pass, to dribble, to shoot, to head, to turn, to cross, and so on. This combined with the ability to perform the task correctly comprises technique. Technique can be taught with or without pressure (although pressure imposes a decision on the player). Skill is a major part of the psychological makeup of the player linked to thinking and looking, and therefore decision-making. Skill is understanding (the thinking part) of tactical play, the decision-making in movement off the ball. Skill is vital in a player; not only knowing what is happening at any given time; but they are thinking about what the possibilities are next; and instead of reacting to a situation; they are being proactive and are dictating what is going to happen next. Therefore they are playing “In Anticipation”; what we call “Soccer Awareness”. This, to me, defines skill. Q. What is the ratio of players per coach? A. The ratio is best to be a low number for attention to detail. 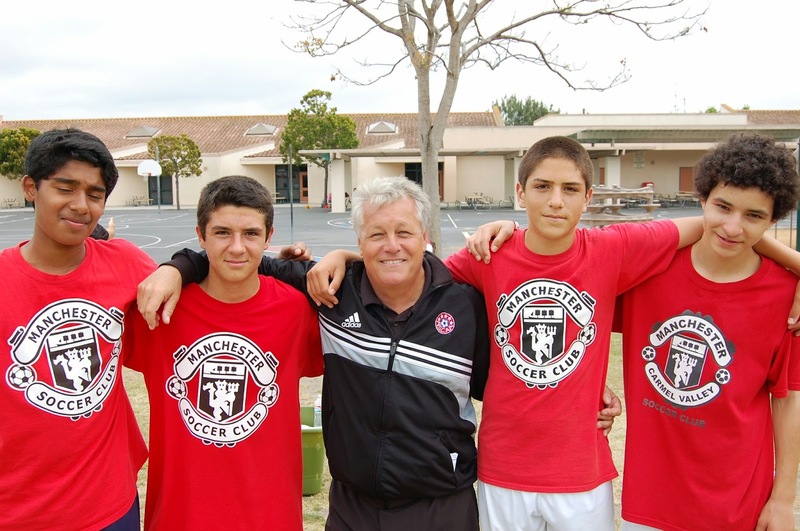 For our Soccer Training Center program (Camp) we aim for 12 per coach. But certain types of training can lend themselves to fewer numbers or greater numbers depending on what you are teaching. Q. How do you group your players? Is it based on skills or age? A. It is initially based on age. Once we understand the player’s abilities we can separate training into levels of ability. It is always a balancing act trying to ensure everyone gets something new out of the training and they improve themselves. We have some 9 year olds playing up with 12 year olds because they are good enough - training with their own age would be detrimental to their development (as it would be too easy). There are many ways to make training work. For example, we may have just one group with a wide variety of abilities – in this scenario, we would ask the better players to work on their awareness and thinking allowing them one touch on the ball to develop their One Touch Mentality, while the less talented players would have unlimited touches (as they don’t see the game as quickly, and require more touches to control and pass the ball). Essentially we are working on their weaker player’s technique, and the stronger player’s skills. So in this particular example, everyone is being tested to their own levels in different ways. Not always perfect, but it provides an alternative for the coach to think and work. Q. Do you allow your players the freedom to be creative and exercise your own thought on how to solve a problem on the field? A. Absolutely. Our training is all about players developing their own mind and making their own decisions, taking charge of the game from the coach. To be able to accomplish this, I believe it is important to set tasks with Conditions which helps to establish a Theme. This may sound like it is counterproductive, however, in reality once you get to the stage where you take the condition out, the players are free to make it work in their own way - the condition was only an important guide to the solution. The ‘One Touch Mentally’ I mentioned earlier is the ultimate model for this. One touch is the condition. It is a condition that controls the mind of the player. The player has only one touch to perform a task. This sounds limiting and it is, as players can’t dribble or run with the ball. The end goal of one touch training and the development of one touch mentality is not to play one touch. Rather, it is to teach/develop the thinking process of the players; so it forces/conditions their minds to anticipate their next move before they receive the ball. If they do not learn to achieve this, then what usually happens is they just kick the ball anywhere and lose it (because they hadn’t prepared the next move in their MIND before they received the ball). Or they stop the ball dead at their feet, look around for an option knowing now they have to give it up because they only have one touch to keep possession (that’s the rule); and they therefore lose it immediately. Q. At which age do you find the players to be more open to this type of training? Does it work better on younger age groups or older? A. The younger the better, in my opinion. The players need to be technically reasonable to get to the Soccer Awareness Training stage of development. We have brought in our own expert at developing the TECHNIQUE and to teach players this in order to ensure when they come to me, they are technically capable to then link the “Body and the Mind”. We have 7 year olds with us that are ready technically - they just have it - and are developing the thinking process at an amazing rate; It’s quite frightening and exciting at the same time to see this. I have one player who already plays like Xavi at 7; honestly, his movements and passing are amazing. Sometimes you get a 10 year old just starting out and needs the Technique training first. Although a primary focus is on the player’s technique, we still include developing their thinking processes with certain exercises that combine technique AND thinking. It is just simplified to ensure the players have success. Everyone knows the golden ages for player development are 7 to 12 years old. If players are trained well previous to us; then those same players can come with a good set of habits. This makes our job much easier to embed our development beliefs on improving these players. It is “Scientifically Proven” that our training also develops players because our focus is the MIND. Myelin production proves this. Q. How do you measure the progress of the players in a game environment? A. Measurement is subjective of course. I know it’s possible to have the means to monitor and measure everything a player does on the field, in terms of their effectiveness. We don’t have the luxury of this so rely more on what we see. I always look for players who can RELAX on the ball and have great INTENSITY off the ball... Two opposite mind sets almost. Not an easy combination to learn. I had trouble with it as a professional player – I was far too intense ON the ball, which hindered my decision making at times. To do this, as coaches, we need to know the game ourselves. We only employ coaches who have this ability to assess and improve players and identify strengths and weaknesses clearly and find solutions for them. Q. Could you please talk about your expansion plans? Are you thinking about the possibility of opening an academy in Canada? A. While I have had my Soccer Awareness training going since 1996, I have always taught it within a club environment. We have our first affiliate club signed up in England already. We have 3 franchisees ready to go and have our own group training in the San Diego area going strong with demand rising every day; and our camp program already is healthy and progressing well with much demand and support from the local community. Our goal is to spread the word and the training model of Soccer Awareness Elite Academy throughout world soccer at the youth level. We think it is a different way to teach and a different way to address development. We do this mainly through the mind of the player and our unique approach to playing the game. Our model and playing methodology compliments the best teams in the world who like to play the game correctly, Barcelona, Real Madrid, Bayern Munich (Guardiola is a genius) and Arsenal.